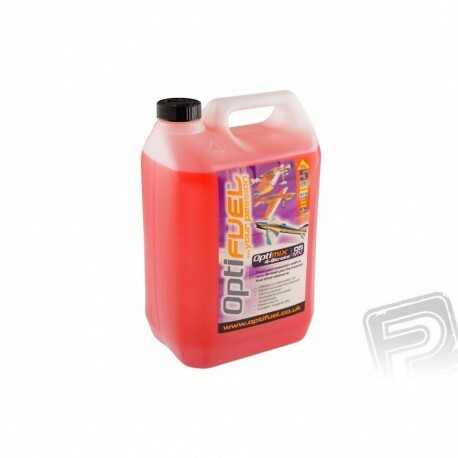 Glowing fuel for four stroke engines (OS, Saito, RCV) for recreational and sport flying. It contains 20% of fully synthetic KLOTZ oil with medium viscosity and 5% nitromethane. Pack of 5 liters. Glowing fuel for four stroke engines for economic recreational and sport flying. Suitable for older worn engines and mock-ups. It contains 20% of fully synthetic KLOTZ oil with medium viscosity and 5% nitromethane. It contains the red dye KLOTZ Red for easy visual inspection of fuel tank status and distance - this is especially useful for RC helicopters and cars. The dye does not affect the operation or adjustment of the engine. Pack of 5 liters.